JPF > Events > Japanese Traditional Craft in the 21st Cent. Yuji Akimoto, director of the 21st Century Museum of Contemporary Art, Kanazawa, and director/professor of The University Art Museum, Tokyo University of the Arts discusses the place of traditional craftsmanship in contemporary art and the challenge of keeping Japanese traditional craft, known as kogei, viable in the 21st century. After graduating from the Faculty of Fine Arts at Tokyo University of the Arts, Akimoto was involved in the planning and management of Benesse Art Site Naoshima, serving as chief curator from 1992 to 2004 and artistic director from 2004 to 2006. During his tenure, he curated a number of major exhibitions including the Art House Project, Standard and Standard 2, held both onsite and at numerous locations across Naoshima Island. Since his appointment as director of the 21st Century Museum of Contemporary Art, Kanazawa in 2007, Akimoto has curated Kanazawa Art Platform in 2008, and Kogei Miraiha (“Art Crafting Towards the Future”) in 2012. Akimoto has also supervised the International Triennale of Kogei in Kanazawa since its inception in 2010, an exhibition and competition designed to present a new generation of craft to a global audience. 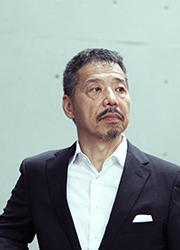 Akimoto concurrently serves as director and professor of The University Art Museum, Tokyo University of the Arts, and guest professor at Joshibi University of Art and Design.